Female suicide bombers are suspected of carrying out the bomb attacks that killed at least 38 people and injured dozens more. The blasts occurred during the morning rush hour in central Moscow. 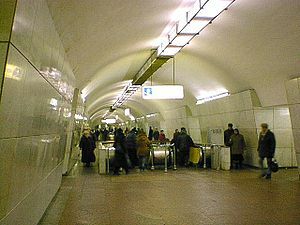 The first was at the Lubyanka metro station near the headquarters of the Russian State Security Service, known as the FSB, the successor to the Soviet KGB. The second came 40 minutes later at the Park Kultury station near the city’s well-known Gorky Amusement Park. Russia has fought two wars against Chechnya since the 1990s – the latest effort to quell regional separatism since it was conquered by Russia in the 19th century. Residents of Chechnya and other Caucasus republics complain of widespread corruption and unemployment. Many come to Russia in search of work.